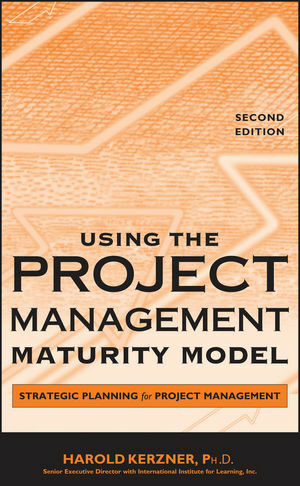 Using the Project Management Maturity Model, Second Edition is the updated edition of Harold Kerzner's renowned book covering his Project Management Maturity Model (PMMM). In this hands-on book, Kerzner offers a unique, industry-validated tool for helping companies of all sizes assess and improve their progress in integrating project management into every part of their organizations. Conveniently organized into two sections, this Second Edition begins with an examination of strategic planning principles and the ways they relate to project management. In the second section, PMMM is introduced with in-depth coverage of the five different levels of development for achieving maturity. Easily adaptable benchmarking instruments for measuring an organization's progress along the maturity curve make this a practical guide for any type of company. Complete with an associated Web site packed with both teaching and learning tools, Using the Project Management Maturity Model, Second Edition helps managers, engineers, project team members, business consultants, and others build a powerful foundation for company improvement and excellence. HAROLD KERZNER, Ph.D., Senior Executive Director with International Institute of Learning (IIL), is currently Professor of Systems Management at Baldwin-Wallace College in Ohio and President of Project Management Associates, Inc., a consulting and training firm that conducts seminars for leading U.S. and international corporations. He was a recipient of the Distinguished Alumni Award from the University of Illinois and the 1998 Distinguished Service Award from Utah State University, where he taught engineering and business administration, respectively. The Northeast Ohio Chapter of the Project Management Institute has honored Dr. Kerzner by instituting the Kerzner Award for Project Management Excellence.